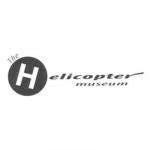 The Helicopter Museum in Weston-super-Mare is celebrating its 25th Anniversary in 2014, and to kick-start its year of celebrations it has unveiled an exhibition that charts another important Anniversary in the world of helicopter aviation. “The First Helicopter Rescue” tells the tale of the daring rescue mission that took place 60 years ago in April 1944 deep in the jungles of Burma during World War Two. An audio soundtrack explains to visitors the dramatic events that unfolded that day as Lt Carter Harmon airlifted wounded British soldiers to safety from behind Japanese lines. Information boards describe the background of the rescue and the famous pilot involved, as well as the history of the helicopter used in the rescue, the Sikorsky R-4. The entire display is set in a tropical themed environment complete with bamboo huts, original artwork and the sounds of the Burmese Jungle. Alongside the display, volunteers have been busy preparing a new Children’s Activity Room complete with Helicopter Story Books, Educational Toys and fun activity sheets to enhance the experience of younger visitors to the museum during its Anniversary year. Throughout the year the museum will be hosting a wide range of celebratory events including an Open Cockpit Festival and World of Flight Fun Day. For further details please visit www.helicoptermuseum.co.uk.